Marian Wyngarden, age 82, of Holland died Tuesday, November 21, 2017 at Spectrum Health – Butterworth. 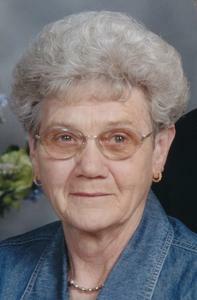 Marian was a charter member of Rose Park Reformed Church. She retired from Donnelly Mirrors in 1995. Marian was preceded in death by her first husband Gerald “Red” VanderBeek in 1994 and four brothers and two sisters. She is survived by her husband Jason and children: Nancy and Ed Van Den Berg of Saugatuck, Pamela Mills of East Pointe, MI and Jerry VanderBeek of Grand Rapids; 3 stepchildren; 4 grandchildren; sisters: Phyllis Reenders of Grand Haven and Pat and Don Bronkema of Holland; several nieces, nephews and cousins. A funeral service will be held at 11:00 AM, Tuesday, November 28, 2017 at Rose Park Reformed Church, 14241 Rose Park Drive in Holland. Reverend Dave Van Opstall will be officiating. Burial will be in Lakewood Cemetery.